A wide variety of families and individuals including business owners, executives of public and private companies, professionals, retirees, philanthropists and sophisticated private investors rely on us for estate planning advice during all stages of their adult lives, often in consultation with those clients' other professional advisors. We assist them with a full range of services from simple wills to the most sophisticated gift, estate and generation-skipping tax-savings techniques that utilize various types of trusts, other entities (such as partnerships, limited liability companies and foundations) and charitable-giving vehicles. 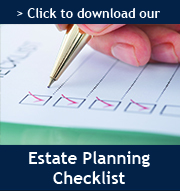 The estate planning process consists of four phases: (1) gathering information about your family and your assets; (2) identifying your objectives; (3) preparing legal documents that provide for the implementation of your objectives; and (4) arranging your assets so that your objectives can, in fact, be achieved. Let’s walk through the Shipman & Goodwin approach to each of these phases. Your “estate” is nothing more - and nothing less - than everything you own. Identifying your property and determining its value is a necessary precursor to any meaningful discussion about who will get what at your death. To simplify the information-gathering process, Shipman & Goodwin has prepared a short questionnaire by which you can indicate your holdings by asset categories (cash, securities, real estate, insurance, retirement accounts, and so forth) and the approximate value of each holding. The questionnaire also collects pertinent family information, such as full legal names, addresses, dates of birth, and contact information. Once we have a sense of what your estate consists of and the composition of your family, we sit down with you and listen to your thoughts, concerns and questions. Some people have very specific thoughts (“I want to leave one-tenth of my estate to charity”), while some have more general ones (“I want everything to be available for my spouse” or “I’m concerned that one of my children is not able to handle money”). Regardless of where you may fall in the spectrum, our job is first, to listen to you, and then, to ask you questions that may help you sharpen your thinking. We also explain the basic federal and state estate tax scheme as it is applies to the composition and value of your estate and the interplay between taxes and your overarching estate planning goals. We explain the roles of the people who will be involved in the administration of your estate (Executor, Trustee, Guardian) and help you decide whom you want to appoint to fill these roles. These steps provide the foundation for a dialogue that allows you to evaluate various options for managing and distributing your estate upon death. Estate planning documents generally consist of Wills, Revocable Trust Agreements, Health Care Instructions, Financial Powers of Attorney, and perhaps Irrevocable Insurance Trust Agreements. Shipman & Goodwin maintains a sophisticated battery of provisions to be included in each of these documents, which in each case are tailored and supplemented to reflect an individual client’s plan. On this basis, a set of “draft” documents is prepared and sent to each client within a few weeks after the plan has been laid out in concept. An explanatory letter that summarizes the provisions of the documents accompanies the drafts. Once a client has reviewed the drafts and the letter, we may meet again to address any open issues or to make any necessary revisions. We then finalize the documents and supervise their execution, with attention to all necessary legal formalities. Finally, a critical step in assuring that the estate plan will work as intended may be to take certain administrative actions with regard to specific assets you may own. For example, to obtain certain tax efficiencies, a married couple that owns all of their property jointly may want to retitle one or more assets so that each client owns a certain amount of property in his or her own name. Similarly, beneficiary designations for retirement accounts and life insurance should be reviewed and may need to be updated so that those assets will pass appropriately. June 21, 2017 Financial Health for Physicians "A Prescription for Peace of Mind"